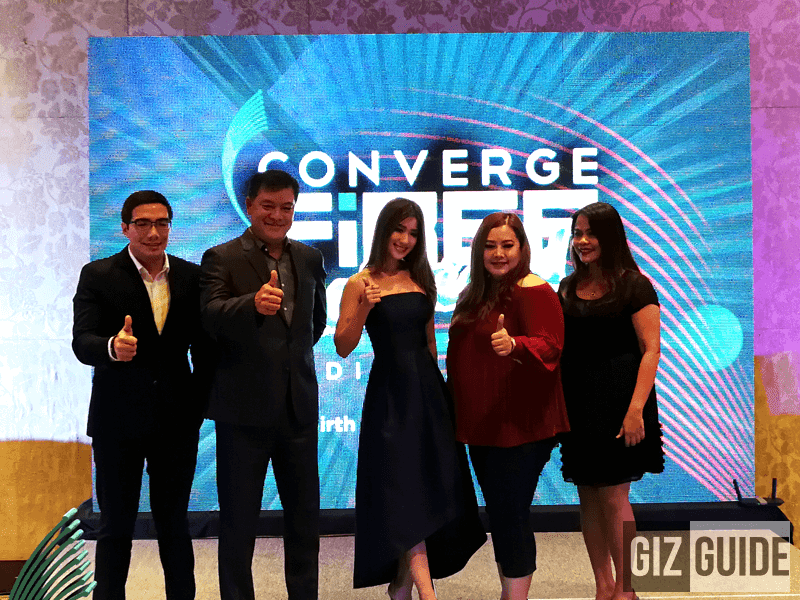 Converge ICT Solutions, Inc., one of the most exciting complete ICT solutions provider here in the Philippines has officially launched FiberX, iBIZ, Converge Enterprise, and FiberXtreme. The company has also announced their further expansion plans to continue the strengthening of its very own fiber optic network. As a matter of fact, Converge ICT laready laid out more than 6,000 kilometers of its fiber optic reach in the country. From Baguio down to south of Batangas. That's good enough to make them the 3rd largest Fiber platform provider in the country. For Metro Manila, Converge's pure fiber optic cities like Valenzuela and Las Piñas and Muntinlupa cities down south of the metropolis. Converge also plans to expand its reach by putting networks in Nasugbu, Batangas up to San Fernando in La Union. Eventually, the goal Converge is to offer its fiber broadband offerings will soon be enjoyed nationwide, according to Converge ICT Solutions, Inc. President and Chief Executive Officer Dennis Anthony Uy. Initially, FiberX is offered on three different plans. FiberX 1500 with up to 25 Mbps speed, FiberX 2500 with up to 50 Mbps, and FiberX 3500 up to whopping 100 MBps burstable speed! In case you need an even faster connection, FiberXtreme has an extreme speed of 300 Mbps for PHP 4,500 and 500 Mbps for PHP 7,000 per month. “We thought that what’s the use of having fast Internet connection if there is a limit to data access? With FiberX, there is no more ‘data cap’ to Internet usage. We feel we will just be short-changing our customers if we put a limit to their Internet usage,” says Jesus Romero, Chief Operating Officer of Converge ICT Solutions, Inc.
For SMEs, Converge offers iBIZ pure Fiber plan. For larger enterprises, they have a scalable Internet connection up to 1 Gbps, an IP MPLS (Multiprotocol Label Switching), Disaster Recovery, Managed Data Center Services, and other benefits for more efficient business operations. Overall, the goal of Converge ICT is to solve the perennial problem of Filipinos in dealing with slow Internet connection by offering fast, affordable, reliable, and pure fiber-optic connectivity with NO DATA CAP for every home, business, or need. For more info, visit www.convergeict.com now!